Home Secretary Sajid Javid has said that Britain wants to work with Prime Minister Imran Khan’s new government in Pakistan, and the alleged corruption of overseas money but in return the UK wants further involvement on security issues and more accountability to tackle extremism. 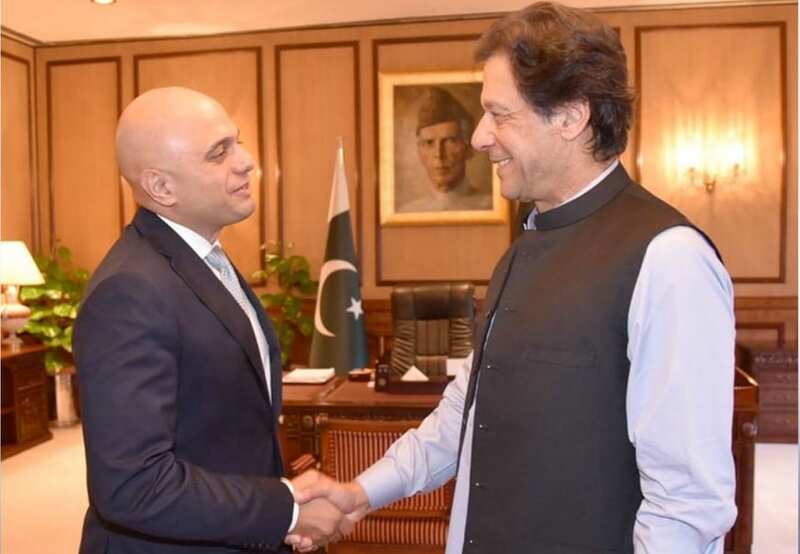 In the first visit to Pakistan by a UK minister since the Pakistani elections, Sajid Javid met with new Prime Minister Imran Khan. He also met with other government ministers including the Foreign Minister and the Minister for the Interior to discuss cooperation on organised crime, terrorism and corruption. During the visit, the government announced a new UK-Pakistan partnership on accountability to tackle illicit finance – a priority for the new Pakistani government. The partnership includes £500,000 support to Pakistan to enable them to pursue money launderers and to recover assets. Speaking in Islamabad, Javid said the partnership will strive for “justice and accountability” and the PTI government said that it will help eradicate money-laundering. Upon his return, to the UK The Home Secretary outlined that cooperation in areas of curbing corruption and money-laundering will be strictly linked with the “evidence” of corruption and no consideration will be paid to political rhetoric. Earlier a British government spokesman told The News in an exclusive interview that Her Majesty’s government will work “constructively” with the Pakistani government but any action in the UK would follow due legal process and that the British government was “aware of the political sensitivities involved” in cases relating to Pakistan. “We have a robust legal and regulatory framework for investigating suspected money laundering, corruption and the recovery of illicit assets,” the spokesman said. A few days ago in Pakistan, the British home secretary met Imran Khan and announced a new partnership between the two countries to fight terror. A cooperation that goes hand in hand with the Pakistani government’s requests to pursue illicit finance in the UK. He said that “no one can escape justice or act with impunity” and urged for a “more concerted action” to combat terror groups. Javid said they discussed security issues and mechanisms for bilateral prisoner transfers, as well as money laundering, trade and education. No details specific details have been released yet, however political commentators have suggested stricter extradition orders will be in place. With the UK being able to chase down tax dodgers who flee abroad to Pakistan. Khan’s government has pledged corruption-free governance and has promised to return to Pakistan allegedly stolen public money.